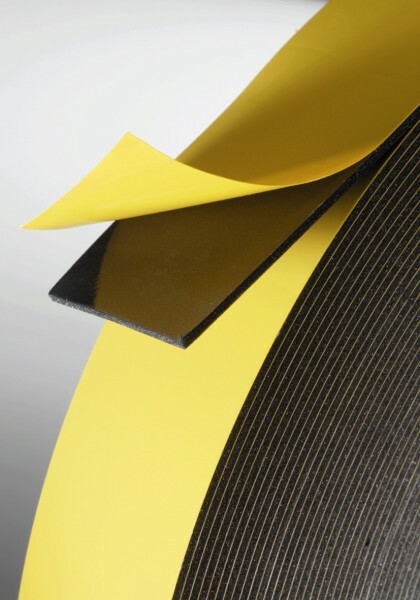 Cross-linked polyolefin foams unique combination of mechanical, chemical, and thermal properties make them an ideal replacement for traditional gasket foams such as EPDM rubber, polyurethane and PVC. Wide density range: (25 to 200kg/m3). Wide thickness range: (between 0.8mm & 64mm). Flame retardant characteristics to meet FMVSS 302, and UL 94 HF-1 requirements. Light weight – up to 84% lighter than PVC foam. Wide working temperature (-80°C up to 130°C depending on type). Inertness against most chemicals including fuels, oils, brake fluids and cooling liquids. Good weathering resistance and ageing behaviour. Fine regular closed cell structure with two process skins. Nearly no water absorption, low water vapour transmission. Excellent thermoplastic properties, particularly vacuum and press-forming. Good thermal and noise insulation properties.